I must admit I’ve been a rock collector for years. My first summer of rock collecting began in 1951 when I went to the Black Hills of South Dakota with my family. By the time I graduated from high school, I had a huge box full of rocks left behind in my parents’ basement when I married and moved away. The Highway Commission bought the house and my parents moved, leaving the box behind. When the house was demolished, all my hard work and effort was undoubtedly buried beneath tons of dirt. 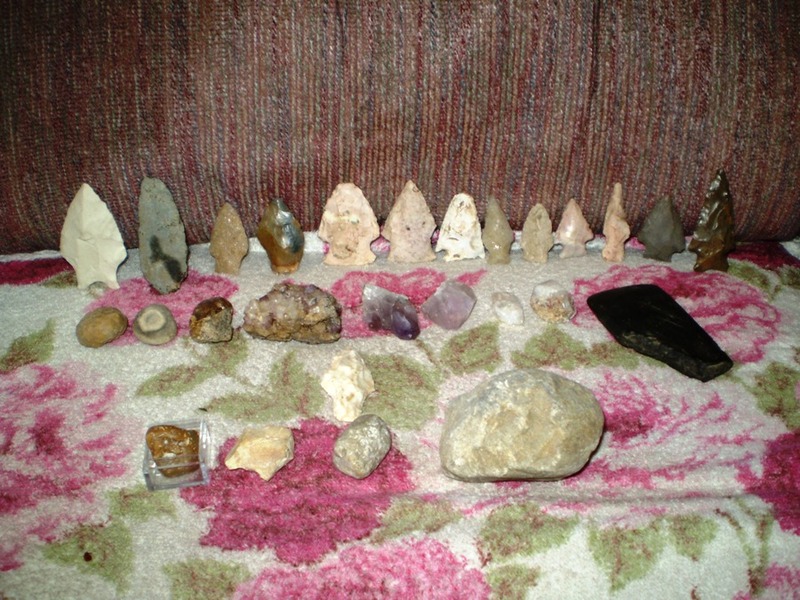 Since then, I re-invented my collection–only this time I secured rocks from places where my ancestors lived or from places of interest to me. Currently, I have rocks from Colorado, Iowa, Missouri, Kentucky, Indiana, West Virginia and Pennsylvania, and I’m still gathering. 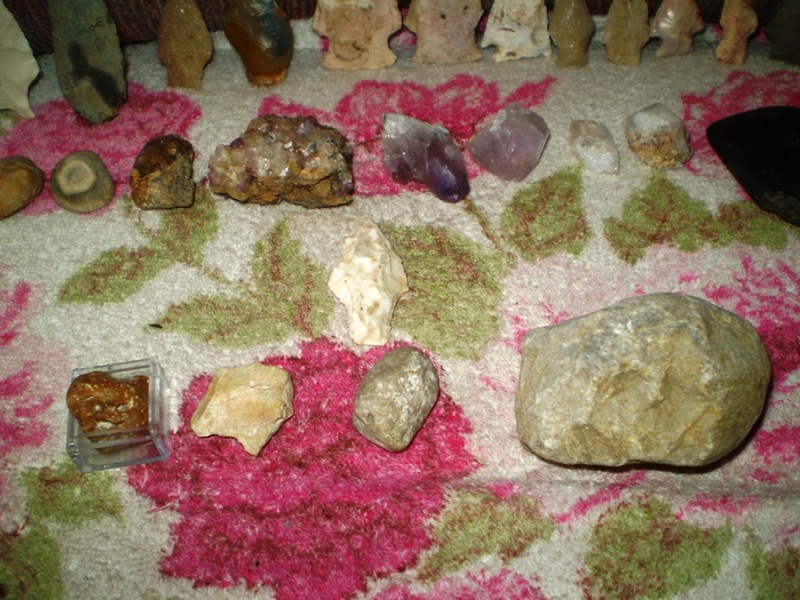 The rocks pictured here are only a small fragment of my collection. 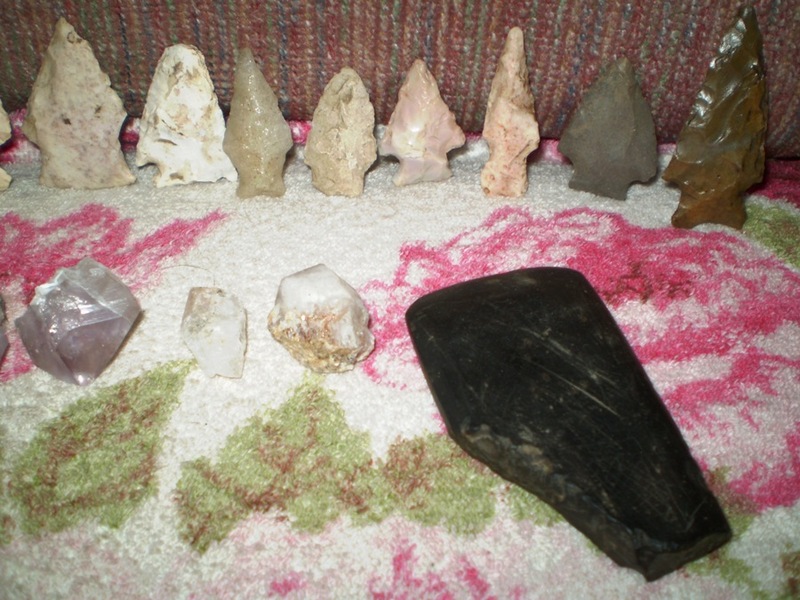 PENNSYLVANIA: The back row of arrowheads consists of Pennsylvania rocks, most of them coming from southwest Pennsylvania (Greene or Washington County). We spent six or seven summers in Pennsylvania years ago and while there, I did a lot of collecting. 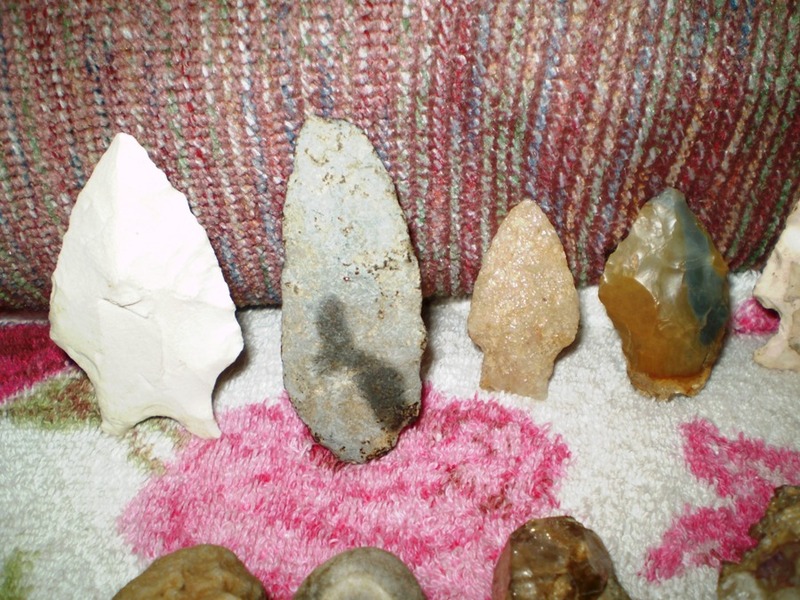 One of the arrowheads has a leaf fossil. I think this is really interesting because it resembles a cartoon duck! 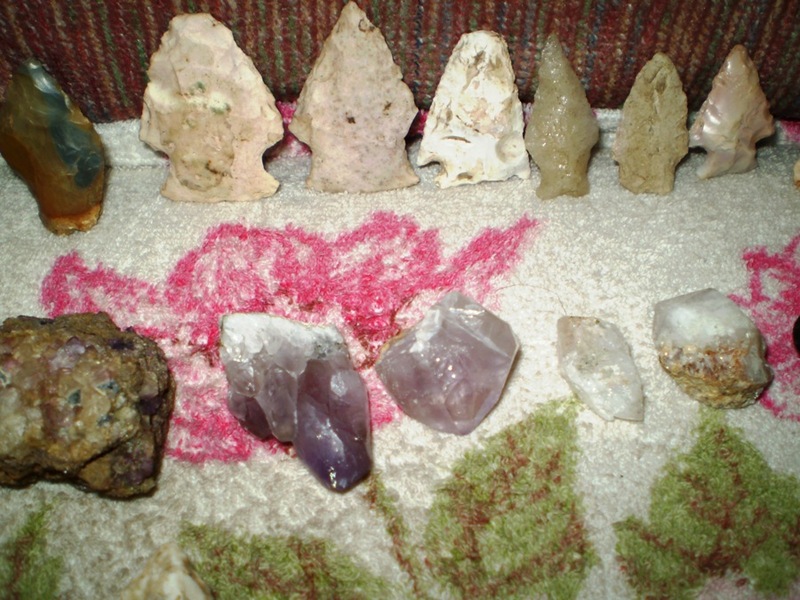 I recently put all of these arrowheads inside one bag so I can keep them together. 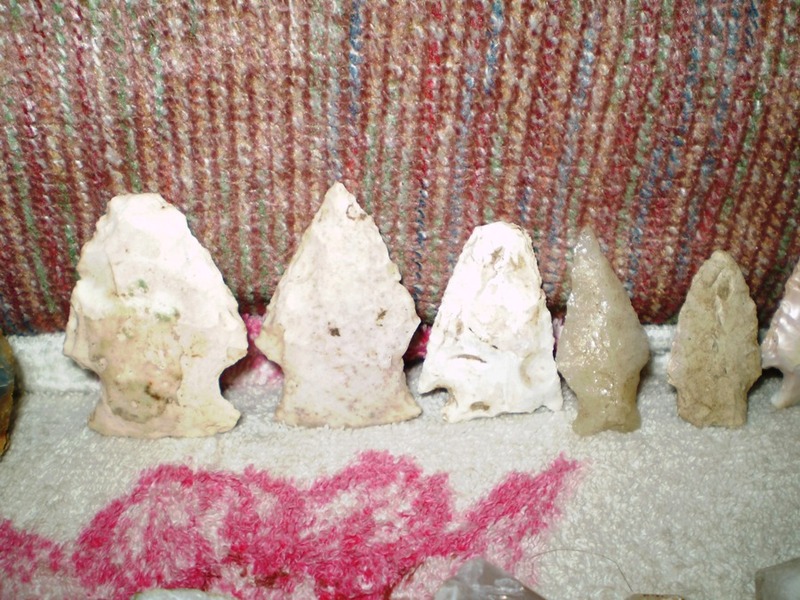 Unfortunately, many modern arrowheads are being manufactured in and sold from China. People buy them, thinking they are authentic, and they are not! 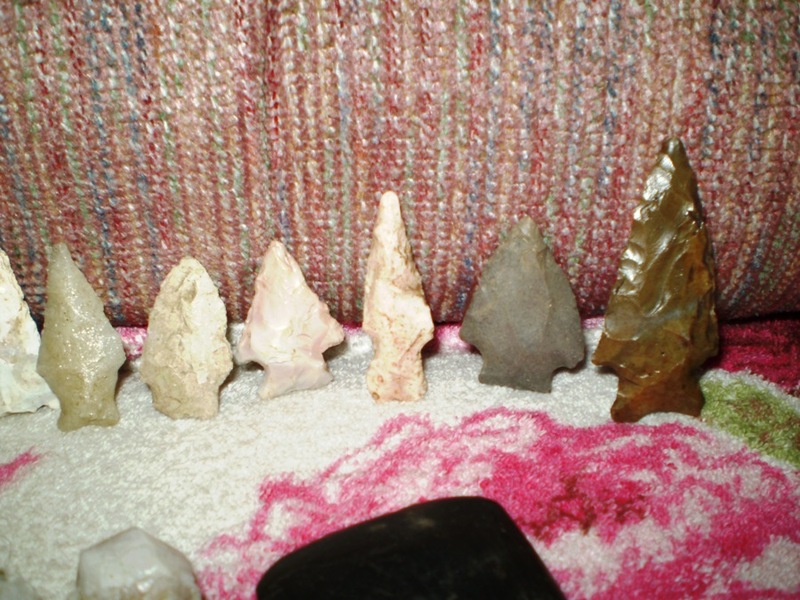 My arrowheads are authentic. They came directly from woods and along banks of streams! My Lenape celt from Eastern Pennsylvania. One of my ancestors was Lenape, so I was really pleased to acquire this piece! MISSOURI: My find on our property in Missouri years ago. 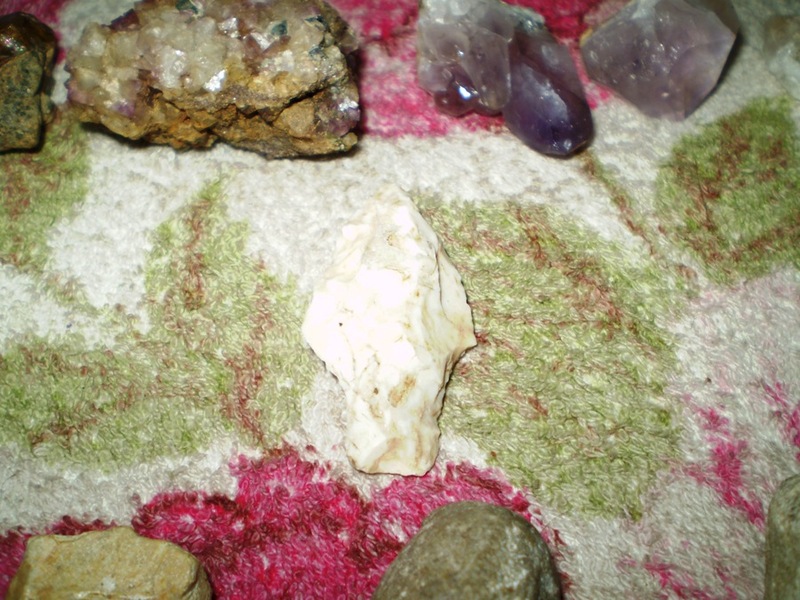 This arrowhead was undoubtedly used by the Osage Indians, who lived in this area. INDIANA: These four rocks came from Grant County, Indiana, just outside Fairmount. I found them around James Dean’s grave in 2003 and 2005. He is a distant cousin on two different lines, so he definitely counts! The large rock was on the road behind the grave. I believe it was probably on the grave at one time until someone tossed it. The little rock in the holder with the incredible face was buried in the grass on top of the grave. I moved my fingers through the grass, looking for something unusual and BINGO! The other two stones were immediately behind the grave, so I assume they were on the grave at one time. CLARK COUNTY, KENTUCKY–my new acquisition! 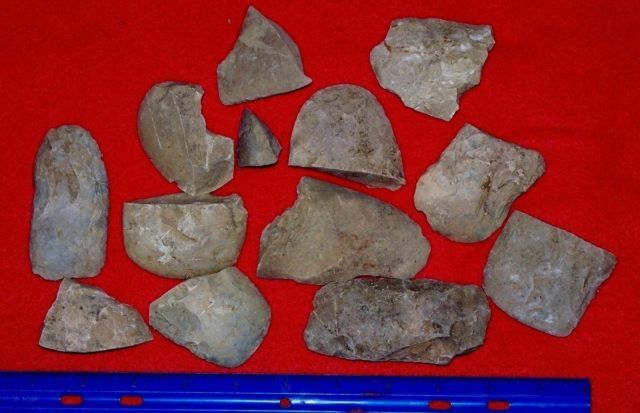 This is a collection of broken celts from Clark County, Kentucky. I bought it this morning and will be looking for it to arrive in the mail. Celts were used by Native Americans as axes or spears or other tools. So these are old. 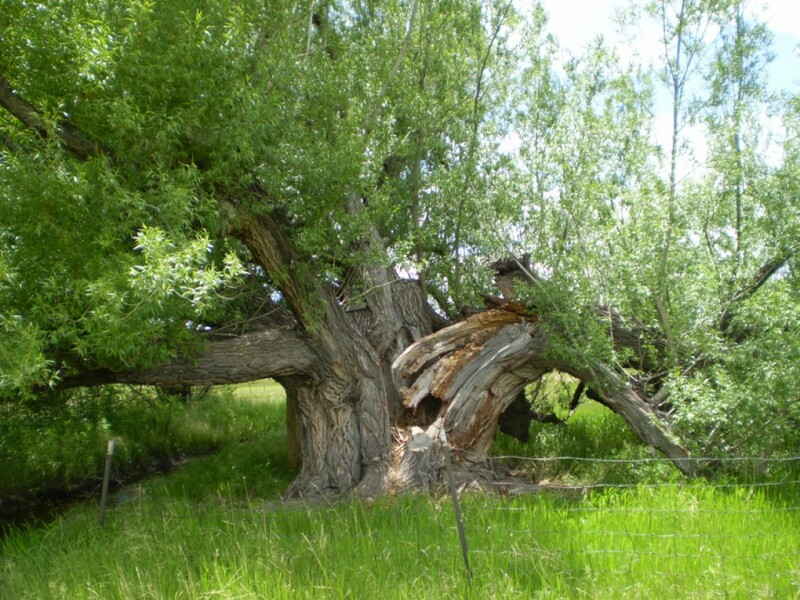 I had ancestors in Clark County, Kentucky, so I was thrilled to buy them. 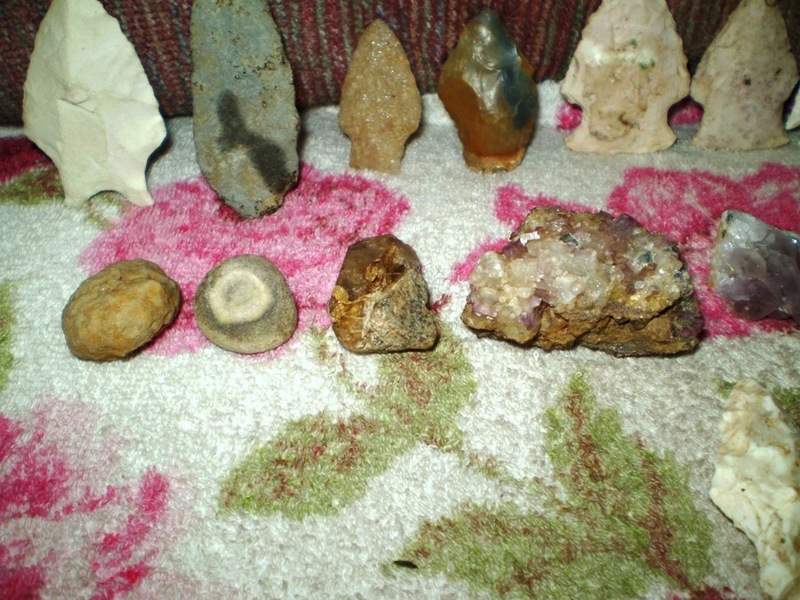 As I said earlier, these rocks are a fragment of my collection, and some of them are rather large. But the rocks shown here came from places where my ancestors lived. Wouldn’t it be something if an ancestor gave one of them a toss while working a plough!! !